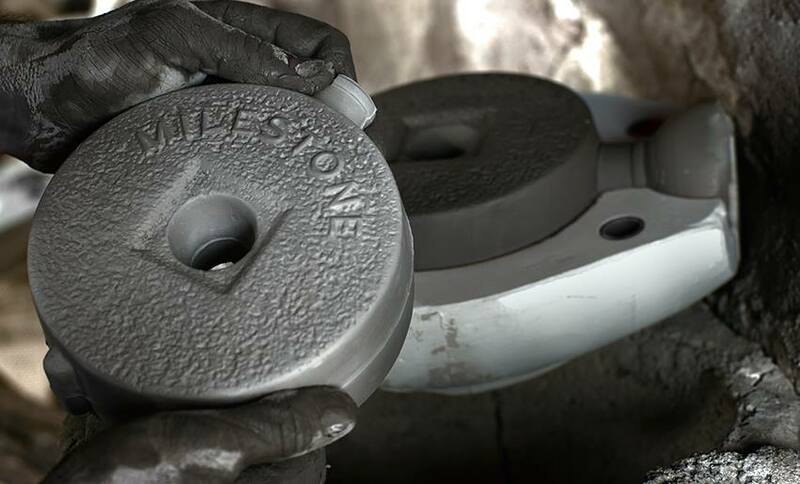 MILESTONE is a product OF DREAMS AND KNOWLEDGE. The mission OF DREAMS AND KNOWLEDGE is to create food products that are MILESTONE for the health and nutrition of mankind. To create these products we used 100% natural methods that are in harmony with nature. To achieve this we aim to bridge the gap between tradition, rural entrepreneurship and up-to-date scientific research. 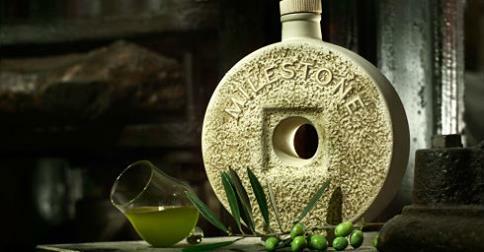 MILESTONE is the first cream of RAW olive oil, a superior form of organic unripe olive oil, hand-collected drop by drop with a timely handcrafted precision. 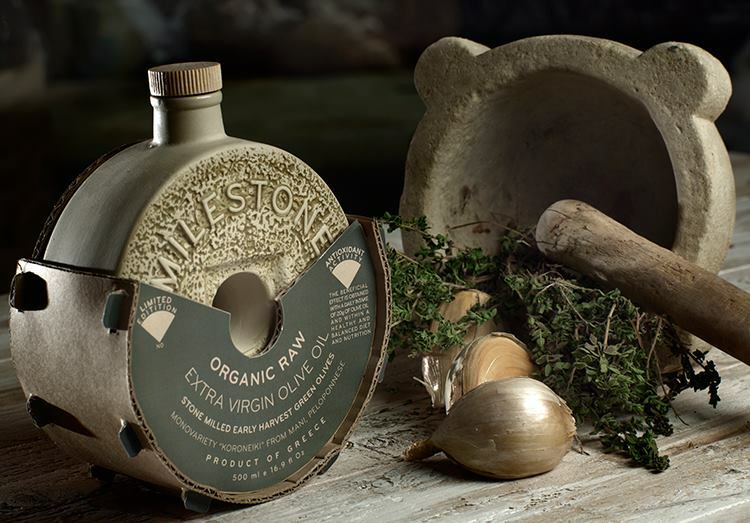 Innovative olive oil processing system under inert gas atmosphere with exclusive use of millstones, press and static decantation. 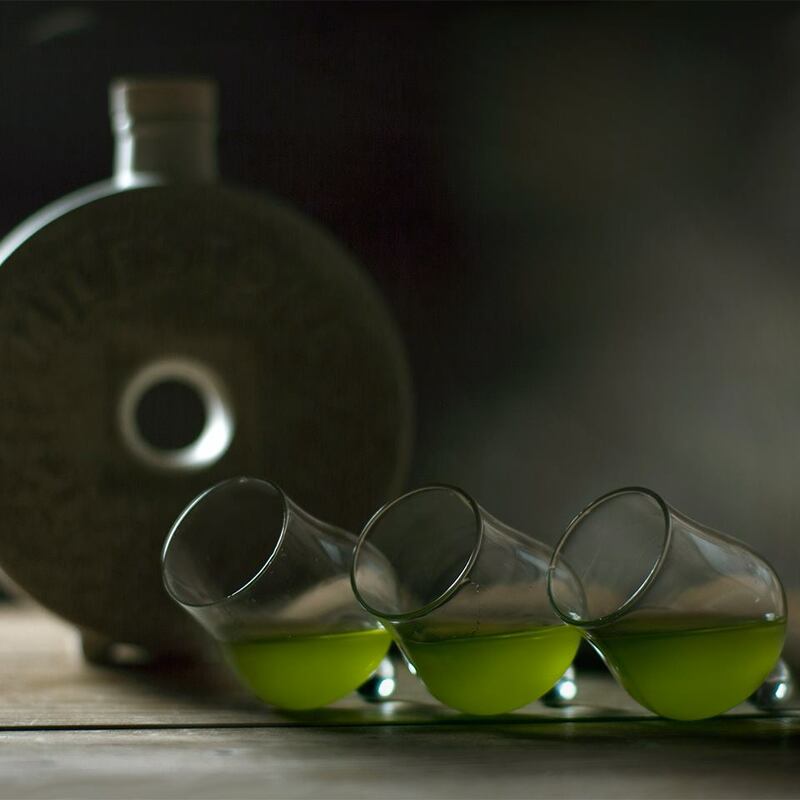 The system minimizes the olive paste oxidation increasing polyphenols level to maximum. The temperature is kept below 15 deg Centigrade during processing and no centrifugal force is used at any production stage. Awarded as one of best innovative business ideas in the agricultural sector in the “Re-Inspire Greece from the Youth Up” competition that took place during the Global Entrepreneurship Week at November 2013 in Athens. I am an importer in Toronto, Canada. I would be interested in knowing more about your product for possible import if you do not already have a distributor in Canada . 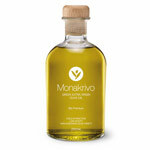 Would it be possible to get a bottle sample of this year’s crop? If agreeable I will have it couriered to me.